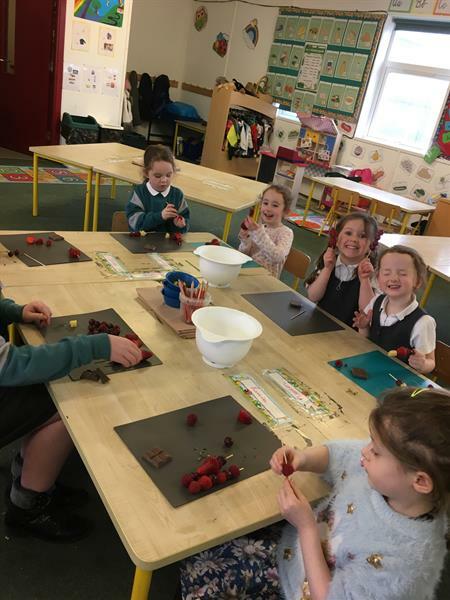 Bíonn neart ranganna breise tar éis scoile ar siúl sa scoil againn anseo! Féach ar na páistí ón rang Cócaireachta ag obair go crua! We have lots of extra curricular classes after school in Gaelscoil Ros Eo! Look at the students in cooking class working away lately!